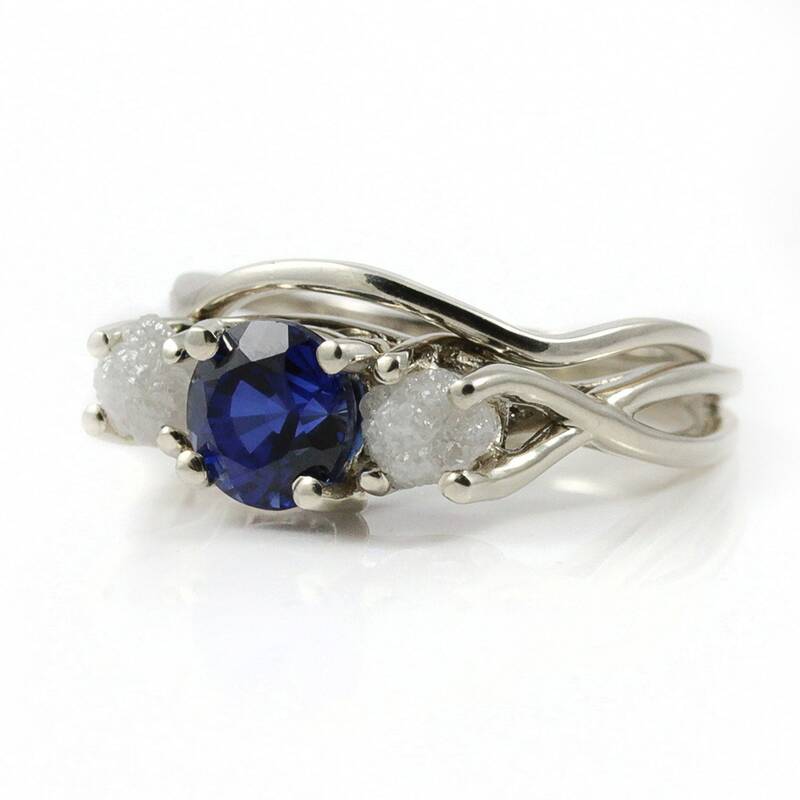 This stunning wedding set features Infinity design ring with an exact matching band, making them look as one piece when wearing. 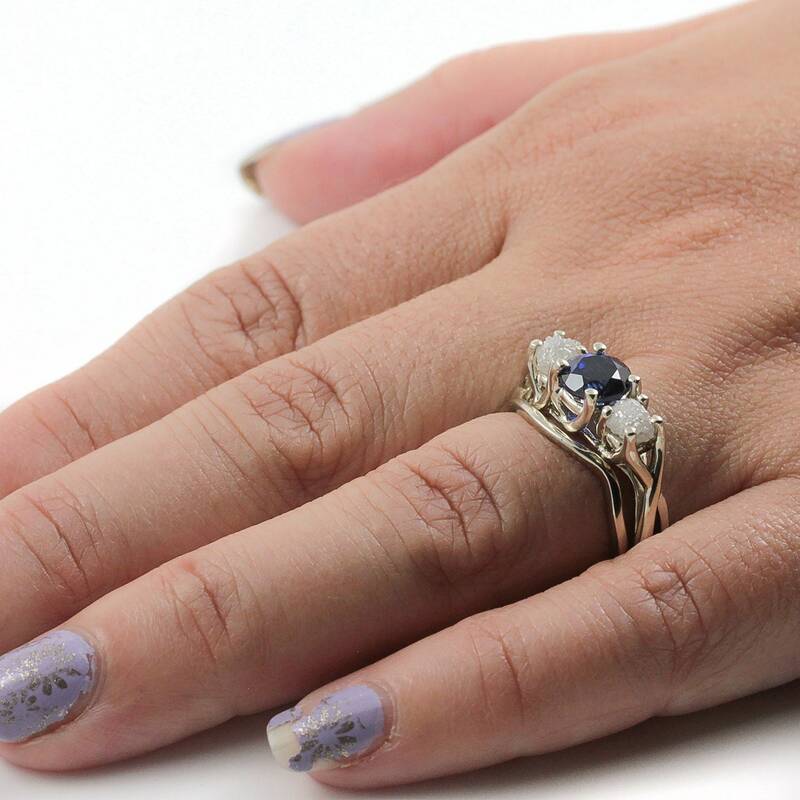 The ring includes a quality blue 1ct lab-created Sapphire stone set on the center of the ring with two white rough diamonds set on each side that make a perfect contrast with the blue Sapphire. The matching band can be worn on either side of the ring. 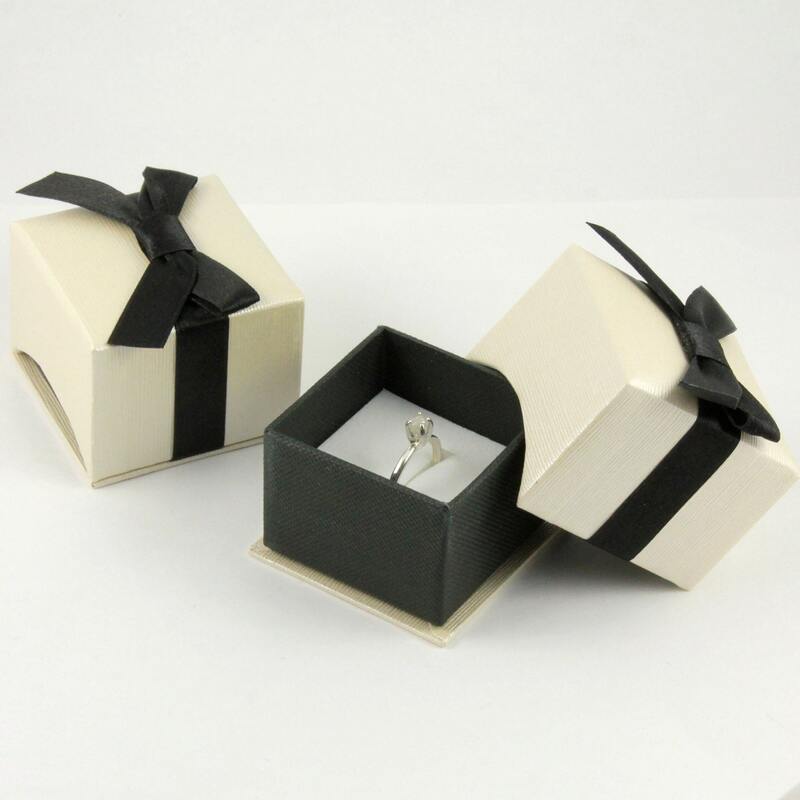 This stunning set would be perfect as an engagement ring and for any of your wedding occasions. 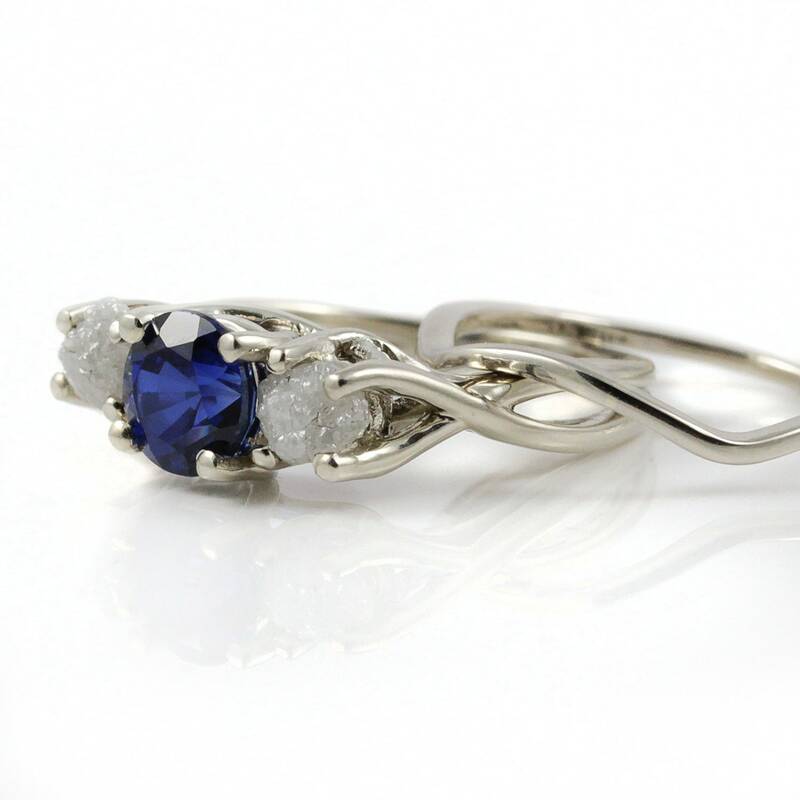 Instead of Sapphire, we can make the ring with blue rough diamond. 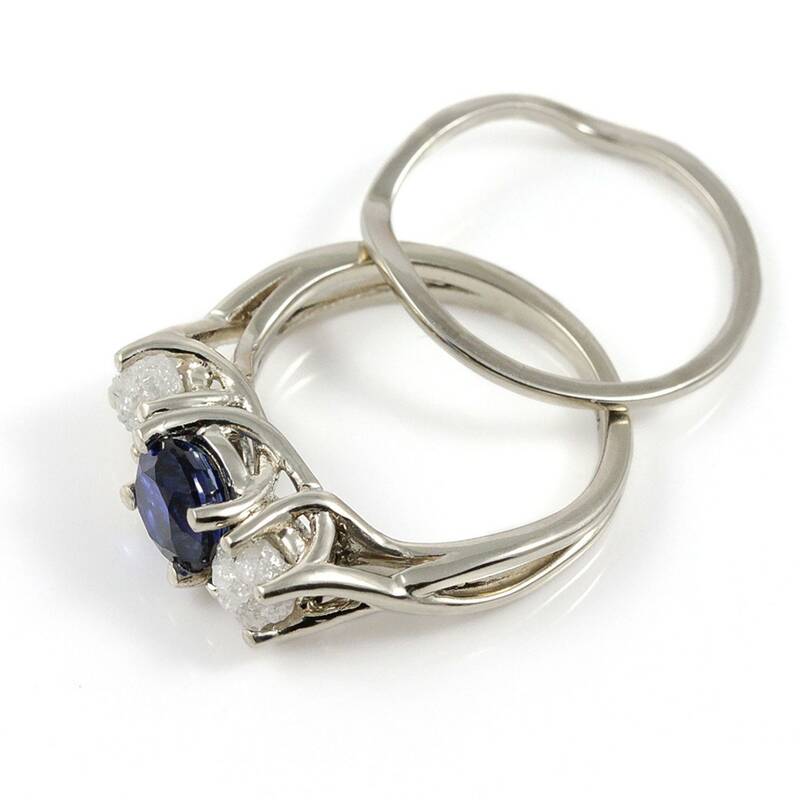 Since the diamonds are natural and rough, they may slightly vary in size, color and shape set on a given ring. The pictures are enlarged for a better view to represent the natural beauty of the stone.